Calling all meat lovers! How would you like to have the best meat delivered straight to your doorstep? 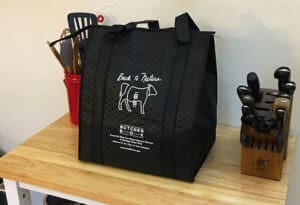 If that sounds like a dream, you’re going to want to learn more about ButcherBox and what they have to offer through their monthly subscription service. If you ever get tired of hunting for the best meat, you can sit back and allow ButcherBox to do all the hard work for you. They find the best possible beef and ship it to you. Everything they curate for their boxes is received from only farmers they trust. Their beef is 100% grass-fed and grass-finished. The chicken they offer is all free-range and organic. And the pork is humanely raised Heritage breed. It guarantees you’re going to get quality meat every month that you can feel good about eating. Ready to stock up on meat that’s free of antibiotics and hormones? We’re sharing everything you need to know about signing up, plus what you can expect to find in their boxes. It’s perfect for anyone who enjoys a good, quality meat. To get started, you’ll need to first select which ButcherBox you’d like to order. At this time, there are five different boxes you can choose from. You will find the following: Mixed Box, Beef & Pork, Beef & Chicken, All Beef, or a Custom Box. This allows you to ensure you’re getting exactly the kind of meat you want delivered to your door. Next, you’ll need to decide how much meat you need. You can choose to receive enough meat for 24 meals, which can be delivered every 30 days or every 60 days. Your other option is to receive meat for 48 meals that will be delivered every 30 days or every 60 days. After you’ve selected how much meat you’d like to order, you’ll be prompted to select your add-on items. The add-on items that are available on ButcherBox will change from month to month. You’ll find items such as burgers, uncured bacon, breakfast sausage, filet mignon, boneless pork chops, and more. You can select from these cuts of meats and add them to your order to get everything you need to whip up a delicious meal at home. After that, you’ll be taken to the checkout page to enter your payment and delivery information. Alternatively, you can choose a Custom Box if you don’t want ButcherBox to curate your selection of meats. They offer two sizes for the Custom Box, including the Classic Box and the Big Box. The Classic Box will hold 12-16 pounds of meat, while the Big Box will hold 20-26 pounds. If you go for this option, you’ll be taken to a page that has a list of all the meats currently available. You can add them to your box and choose exactly what you’d like to receive. When ordering from ButcherBox, you’re relying on them to curate the items in your box. The contents will change from month to month, but you’ll always receive a mix of premium cuts of meat. You’ll find things like ribeye, New York Strip, chicken breasts, sirloin steaks, and chicken thighs. Of course, it all depends which box you choose to order, as you can eliminate certain meats from your box. Your box may also contain ground beef, top sirloin, premium steak tips, stew meat, boneless pork chops, baby back ribs, drumsticks, uncured bacon, and breakfast sausage. As mentioned, you can also add on additional items to each order. This will give you the chance to make sure you’re getting some cuts of meat you really want. Add-ons can include burgers, ribeye steaks, pork tenderloin, etc. This will change on a monthly basis. Although you aren’t selecting which types of meat you want with the main boxes, you can still feel confident that you’re going to receive something great. Every piece of meat will be high-quality and you’ll surely be able to whip up a great meal with whatever you receive. If you want more control over your order, choose the Custom Box and load it up with the items you really want. From whole chicken, pork chops, steaks, wings, and more, you’ll have all the options you need to create a delicious meal. Ground shipping with ButcherBox is free to all of the contiguous United States. You can expect your order to arrive via either UPS or FedEx. The carrier they choose will depend on your location and transit time to ensure it arrives promptly. Currently, shipping is unavailable to Alaska, Hawaii, and Canada. They are hoping to offer delivery to these areas in the future. No one needs to be home in order to accept your delivery from ButcherBox because a signature is not required for drop-off. The carrier will leave your package on your doorstep for you to receive as soon as you arrive home. For this reason, you also have the option to include special delivery notes for the driver with your order. You can specify where you’d like your package to be left to make it easier for you. Unfortunately, you do not have the ability to specify a specific delivery date at this time. ButcherBox prioritizes orders based on location, carrier, and transit time. Their website states they ship out of California on Monday through Thursday for orders on the West Coast. Orders for all other locations will ship from Wisconsin. 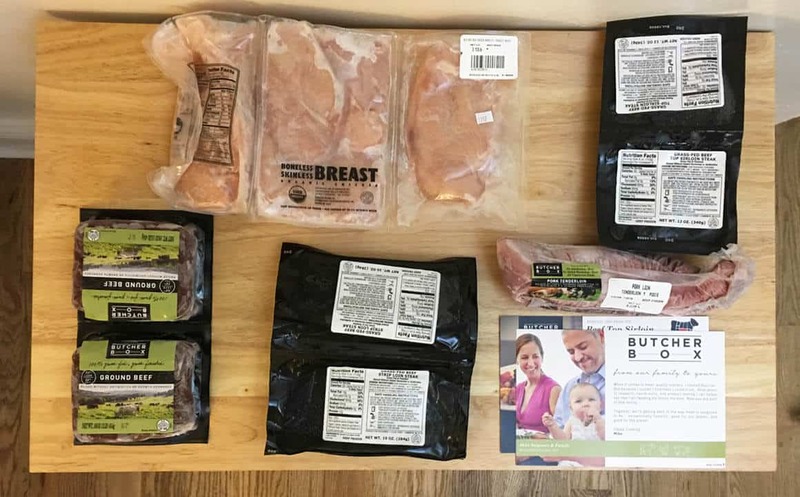 ButcherBox recommends having orders delivered to your home address, not a business address. You don’t want to worry about having your package delivered when your business is closed, especially since carriers may perform a drop off in your area during evenings and weekends. Not only that, but inability to deliver your order puts the meat at risk since delayed deliveries can result in your meat arriving warm. ButcherBox complies with the USDA Mail Order Safety Guidelines when shipping each of their orders, so you should feel confident in the quality of your meats upon arrival. Before being shipped out to you, the meat is flash frozen and individually packaged and labeled. It’s then put inside a reusable, insulated shopping tote. There’s then an eco-friendly liner surrounding the tote. They add dry ice to the outside of the shopping tote, inside the liner that surrounds it. The amount of dry ice you receive is carefully chosen based on your location and delivery time. ButcherBox is sure to use enough dry ice to keep your meats fresh and at the optimal temperature. Everything is packaged inside a cardboard shipping box and sealed with a plastic overlay. The eco-coolers they use are made with 100% recycled bonded cotton. They’ve done this as a way to reduce their environmental impact. You can contact your local recycling center to see if they take these materials. You can also visit the ButcherBox website for information on the proper handling and disposal of dry ice. Their website states the meat should arrive frozen, partially frozen with ice still available, or at least refrigerator cold. Your meat should measure at 40°F with a food thermometer. If you are concerned about the safety of your meat, contact ButcherBox right away via email. ButcherBox takes great pride in sourcing high-quality meats for their customers to enjoy. The beef they provide is 100% grass-fed and grass finished. The chicken is free-range and organic. And the pork they have is heritage breed. All of the meat comes from animals that were humanely raised and free of antibiotics and hormones. There’s no need to worry about where the meat came from or what unwanted additives are lurking within. They also work with farms they trust, so you can feel confident about the quality of the meat you’re receiving. Each box includes a note from the butcher that describes the cut of meat you’ve received and information about the farm. With better meat, it should come as no surprise that your dishes are going to be more flavorful and enjoyable for you and your entire family. In fact, meat from grass-fed cattle has more Omega 3’s, higher levels of vitamin E, B vitamins, calcium, and more. It’s worth it to make sure you’re eating meat that’s safe. You can visit their website to learn more about the difference between grass-fed beef and grain-fed beef to see more of the benefits it can provide for your family. They talk about the environment these animals live in, what kind of diet they have, and their nutrition. It’s worth checking out! How you cook your meat is entirely up to you. Unlike other food subscription services, you aren’t being provided with all the ingredients and a bunch of recipes or pre-prepared food. You’re getting a selection of high-quality, raw meat for you to use as you please. 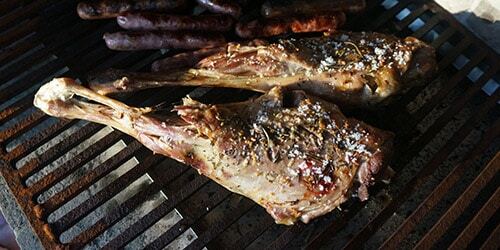 You can cook your meat on the grill, in the oven, etc. It’s totally up to you how you prepare the meat you receive from ButcherBox! It’s a great opportunity for you to be creative and try new dishes. ButcherBox is providing their customers with some of the highest quality and healthiest meats possible. When you bite into a piece of meat from their box, you can immediately notice the difference in quality. It’s fresh, flavorful, and tender. There’s no need to settle for grocery store meat that has potentially been loaded with hormones and other additives. With ButcherBox handling the meat sourcing, you won’t want to go back! They source the meat from farms they trust to ensure quality and deliver it straight to your door every month or every other month. It all depends on your needs! You’re sure to fall in love with their service once you taste the meats they have to offer. And so will your family! Of course, your total cost is going to be dependent on how much meat you order. If you purchase the Mixed Box, Beef & Pork, Beef & Chicken, or All Beef, it will cost you $129 to receive enough meat for 24 meals. This comes to $5.38 per meal. For 48 meals, the cost will be $238. This makes the per meal total $4.96, giving you the best value for your money. If you choose a Custom Box, you’ll have two sizing options. You can choose the Classic Box, which fits 12-16 pounds of meat. ButcherBox says the Classic Box is ideal for individuals and small families. This one will cost you $149. The Big Box is suited for mid-size families and those who want to fill large freezers. This box holds 20-26 pounds of meat and will cost you $270. You may also add additional items onto your order. Some extra items you may find to be available include: six 1/3 pound burgers for $13, 10 ounces of uncured, sugar-free bacon for $7, and three, one-pound boneless, skinless chicken breasts for $24. You’ll also find two 6-ounce filet mignon cuts for $20. There are plenty of other options to add as well. You can skip a month at any time you need to. You will, however, need to contact ButcherBox to make changes before the next order invoice date. If you fail to do this soon enough, a new order will likely ship out. Make sure you’re keeping an eye on your account to avoid any unwanted orders! Are you tired of shopping for meat at your local grocery chain? Would you rather someone else source high-quality meat for you instead? If you’re ready to make a change to hormone and antibiotic-free meats, ButcherBox is a great option to consider. Instead of finding better meat on your own, let them source it and deliver it to you. You can receive a variety of beef, chicken, and pork cuts to add to your next dinner. Not only will you appreciate the quality of meats you receive, but you’ll love the convenience. It’s an easy and affordable way to ensure you’re only getting the best meats to cook with. ButcherBox is the best "meat of the month" style club we've had the pleasure of reviewing. Their meat is some of the highest quality that we've ever tried. ButcherBox is the best meat delivery service I’ve seen to date! My husband absolutely loves when our package gets delivered. It feels like Christmas morning HAHA. We usually invite some friends over to grill every weekend so it makes for a fun little hobby. If you’re on keto/paleo/whole30 this box is legit. I scoured the internet trying to find a keto box for the month of June to test out the diet. You get exactly what you pay for… High quality meats. No fussing around and no worrying about what the heck is inside the meal kit or added ingredients. Love the mission of ButcherBox. A++ from me! Been looking at getting some type of meat delivered for a while. It used to be these services were expensive gifts. I remember getting a box of Omaha Steaks from my old boss! Great gift idea for Father’s Day, Birthday’s, Christmas, etc.